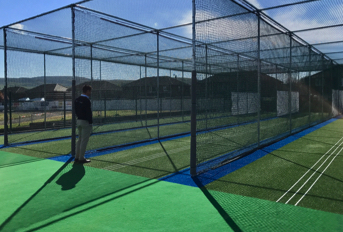 Brief: To replace and upgrade the Club’s existing, concrete-based nets which had fallen into disrepair and eventually rendered unfit for purpose following the installation of a modular building in too close a proximity to the facility’s location. 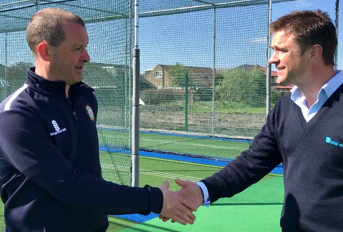 Taking into account the Club’s desire to encourage greater use of the new facility than that its previous model, total-play recommended the construction of a 2 lane, 26m open ended non-turf practice facility based on its ECB approved tp365 non turf pitch system. 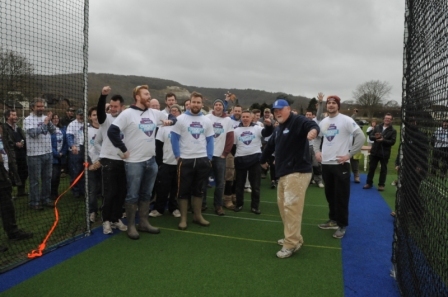 As the new facility had to be constructed on a new site away from the modular building, the Club undertook responsibility for clearing trees, brushes and undergrowth to create a suitable working area before the total-lay team arrived on site. 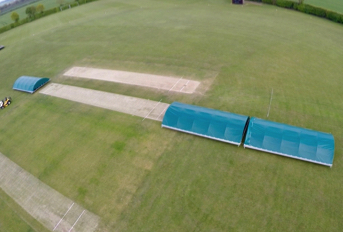 As total-play had advised the installation of a root barrier to enclose the system and prevent roots from neighbouring trees growing through the new aggregate sub-base – and subsequently affecting the playing surface levels – this was the first job the team undertook on site. 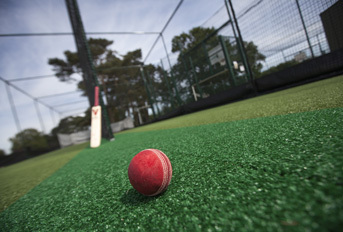 With the root barrier in place, the playing surface base was constructed before a tailor-made, 4m high steel framework was installed and fitted with total-play’s unique HD Protection Tunnel ‘cocoon’ netting, which helps to prevent injury from errant balls as well as reduce repairs and maintenance due to consistent tension throughout the netting. 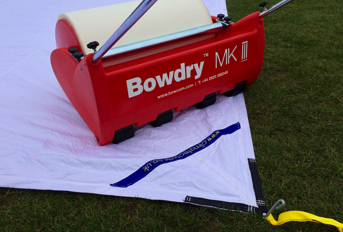 To complete the specification a two-tone carpet, with added white ‘coaching’ lines to aid skill development, was laid; with different coloured crease markings to distinguish junior and senior play. 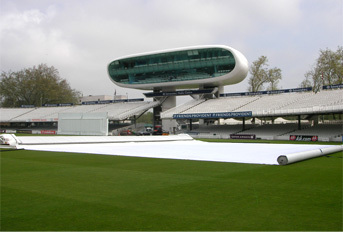 Throughout the project, total-play took care to minimise any collateral effects, such as vehicle movements and associated costs, by ensuring that spoil created from the works was landscaped and shaped on site – including backfilling the void created by its removal of the old concrete batting ends from the original facilities.